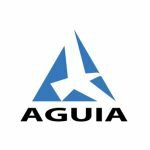 Aguia Resources Limited, (“Aguia”) is an ASX and TSXV listed company whose primary focus is on the exploration and development of mineral resource projects in Brazil. Aguia has an established and highly experienced in-country team based in Belo Horizonte, Brazil with corporate offices in Sydney, Australia. Aguia’s key projects are located in Rio Grande do Sul, a prime farming area which is 100% dependent on phosphate imports. The Rio Grande phosphate deposits exhibit high quality and low cost production characteristics, and are ideally located with proximity to road, rail, and port infrastructure. Aguia’s experienced management team has a proven track record of advancing high quality mining assets to production in Brazil. AGR’s Phosphate Resource Set to Deliver Value Uplift? Just last month, we brought you an intriguing agribusiness enabler. Since then this company has been busy inserting itself into the southern Brazilian agriculture sector in a bid to capitalise on the growing demand for phosphate fertiliser in the expanding agriculture sector in Brazil. Phosphate Monopoly for ASX Stock in Global Food Bowl? One tightly held ASX listed phosphate company is on the verge of holding a local supply monopoly for this key fertilizer ingredient in one of the world’s largest agricultural countries, Brazil. Agriculture plays a key role in Brazil’s economy, with 20% of its GDP in 2015 derived from agriculture, with exports now totalling US$175BN.